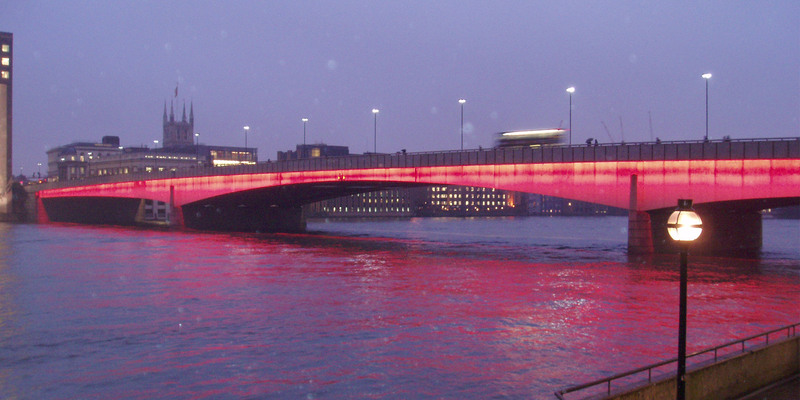 Physically connects the UK with our European cousins. Much quicker, easier way of transporting freight and people. Significantly cut the amount of time to reach the continent. Dig out and construct the longest undersea tunnel(s) in the world. 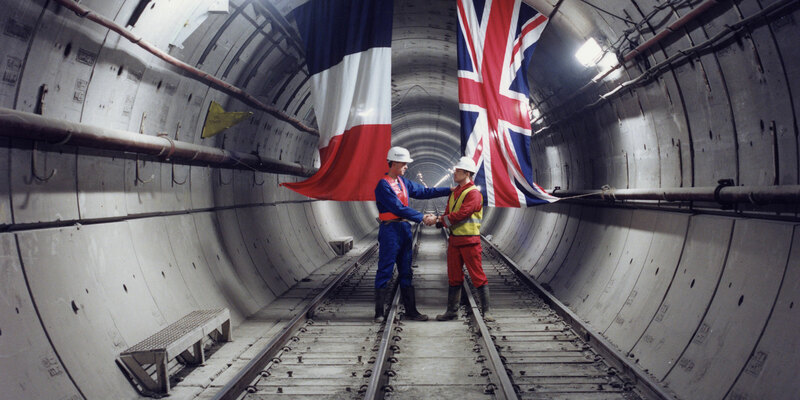 The Channel Tunnel opened in May 1994 after 6 years of construction. It's the longest undersea tunnel in the world. The Channel Tunnel is really 3 tunnels, running parallel to each other. Trains go through 2 larger tunnels. A smaller service tunnel – used for ventilation and access - runs between the 2 train tunnels. The tunnels don't run straight - they curve gently up and down or left and right. This is so they can run through the chalk strata. On average, the tunnels are 45m below the sea bed. The two larger tunnels are 7.6m wide. They are high enough to take a double-decker bus. The larger tunnels merge at 2 points under the sea called 'crossovers', where the trains change line. These crossovers are undersea caverns and they're as wide and long as a cathedral. The UK and France are about 21 miles apart at their nearest point. However, the 3 tunnels are 35 miles long as they run to terminals inland at Folkestone and Calais. The American Society of Civil Engineers elected the Channel Tunnel one of the 7 modern Wonders of the World in 1994. The Channel Tunnel opened in May 1994 after six years of construction and is the longest undersea tunnel in the world. It actually consists of three tunnels running parallel to each other; the two outer tunnels are used for trains and the smaller central service tunnel is used for ventilation and access. The Channel Tunnel has cut travel times between the UK and mainland Europe dramatically. Before the tunnel it took around 6 or 7 hours by rail and ferry from London to Paris. Trains can now do the same journey in 2.5 hours. The tunnel has become an essential infrastructure asset for tourist, business and freight transportation. It allows rapid travel in all weathers. Digging started in 1988, with tunnel boring machines (TBMs) used for all the tunnels. Five TBMs dug from France, six TBMs dug from the UK. The TBMs started work on the service tunnel first. This was so engineers could see what the actual ground conditions were like. The two crossover caverns were built using access from the service tunnels. TBMs digging the main tunnels passed through the caverns and then plunged back into the chalk to carry on digging. Ground conditions at the French end were wetter than at the British end. This meant the French machines moved more slowly and that British TBMs dug more of the tunnels. 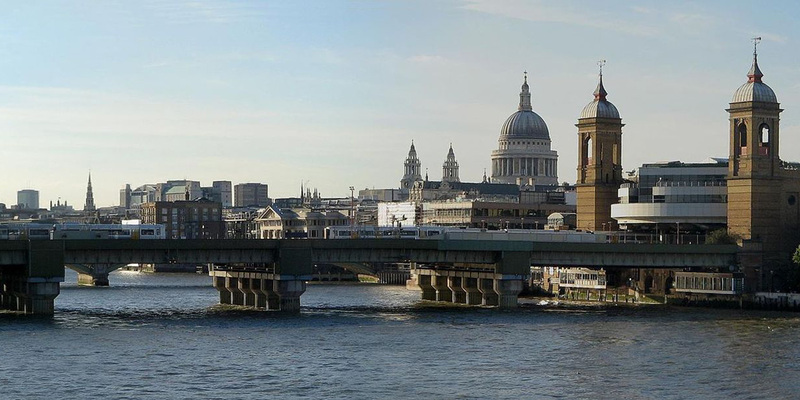 Engineers used two systems of tunnel linings – cast iron segments bolted together and precast concrete rings. The TBMs excavated a huge amount of chalk. On the French side, the chalk was crushed, mixed with water, and pumped inland behind a specially built dam 37m high. On the British side, engineers used the chalk to build a landscaped platform at the foot of Shakespeare Cliffs near Dover. Every generation has to do something exciting that will affect the future. This is wonderful, even better than I thought it would turn out. The first serious proposal for a Channel tunnel came from French engineer Albert Mathieu in 1802. It included an artificial island half way across for changing horses. 11 tunnel boring machines (TBMs) were used on the project. One of the TBMs from the British side is now buried under the Channel. Another sold on ebay for £39,999 in 2004. 400 trains use the tunnel every day. They carry an average 50,000 passengers, 6,000 cars and 54,000 tonnes of freight. Anglo-French consortium Transmarche Link (TML) built the tunnel. TML was made up of companies from the UK and France. UK companies: Balfour Beatty, Costain, Tarmac, Taylor Woodrow, Wimpey. French companies: Bouygues, Dumez, SAE, SGE, Spie Batignolles.